Origins and destinations can be dragged vertically. 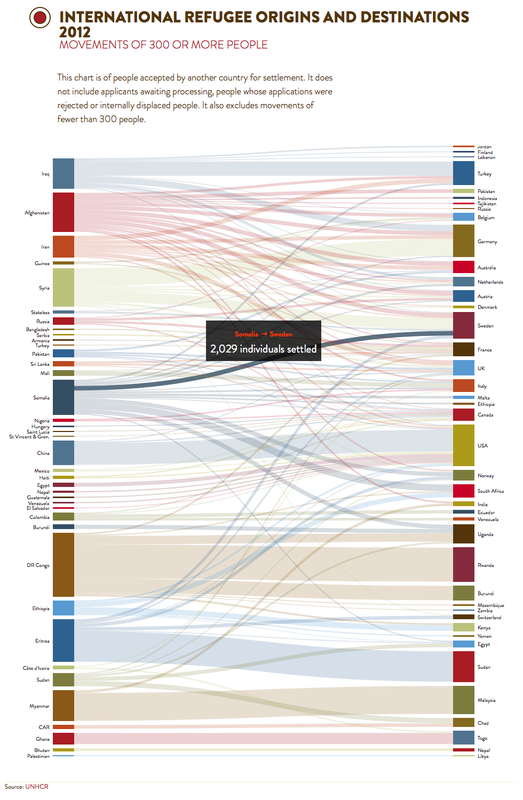 This chart is of people accepted by another country for settlement. It does not include applicants awaiting processing, people whose applications were rejected or internally displaced people. It also excludes movements of fewer than 300 people. If you’d like to line up an origin country with a destination country, just grab one and slide it up or down.